We present below the Eachine Wizard TS130 quadcopter news and all the interesting details about this quadcopter. 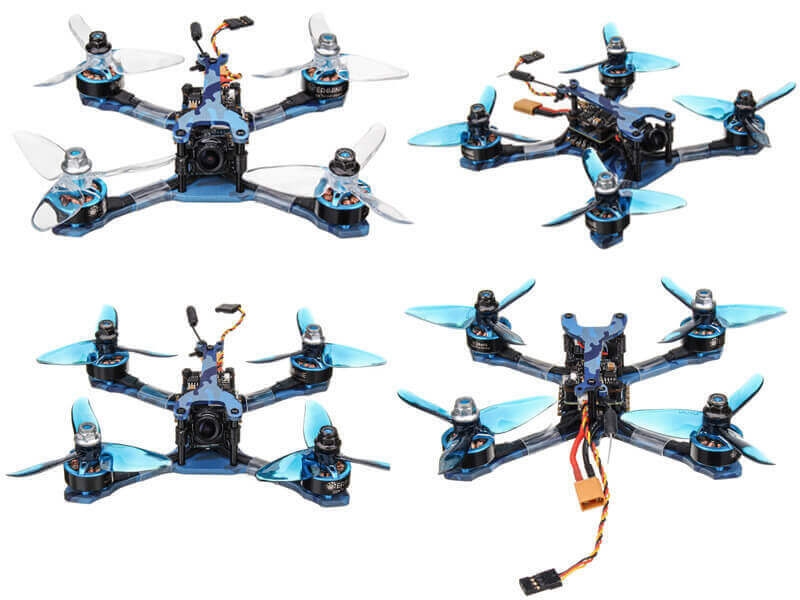 We start with the fact that is an FPV racing quadcopter, which you can control with the F4 flight controller that will power your 4100KV brushless motors that keep the drone in the air. 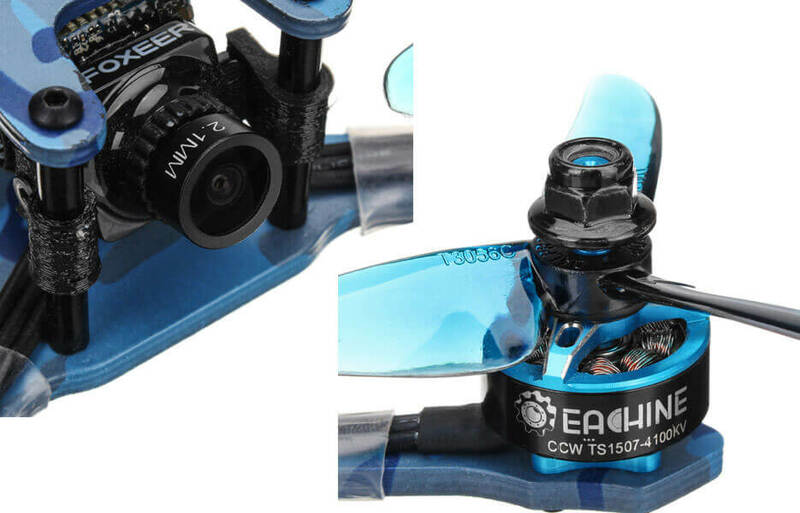 The 130mm carbon fiber frame also is a detail that makes it similar to other drones, here the bottom plate and arms have a thickness of 3mm, but the top plate only 2mm. 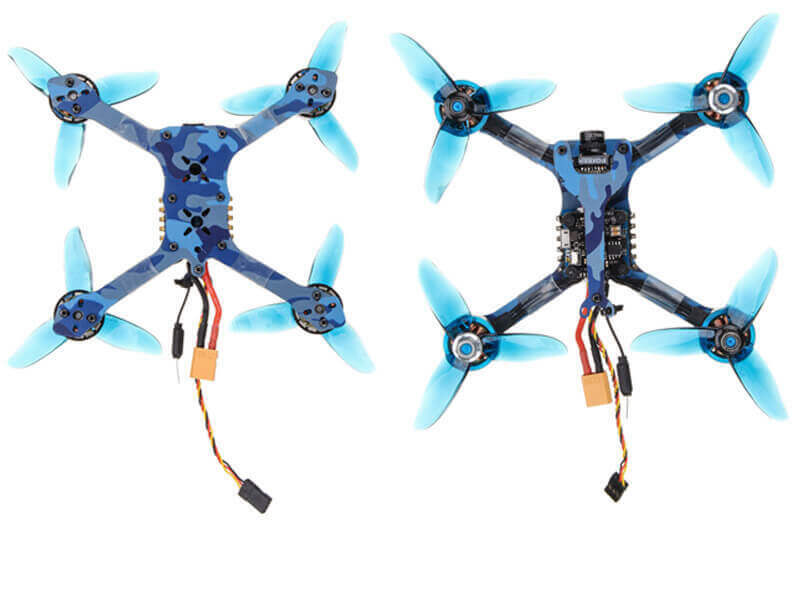 The four TS1507-4100KV brushless motors in the ends of the arms are completed each with a 3-leaf propeller. The motors work with a 4-in-1 20A ESC. The most important thing that an FPV can be equipped with is the camera and the Eachine Wizard TS130 has a FOXEER Arrow MICRO PRO camera with the Sony SUPER HAD II CCD image sensor. Carbon fiber wrench and 10 pieces of cable ties. On top of the stack, there is adjustable 25 – 100 – 200mw power VTX with a smart audio feature. A quality, easy-to-use drone that is recommended to those with experience, avoiding being a toy for children. 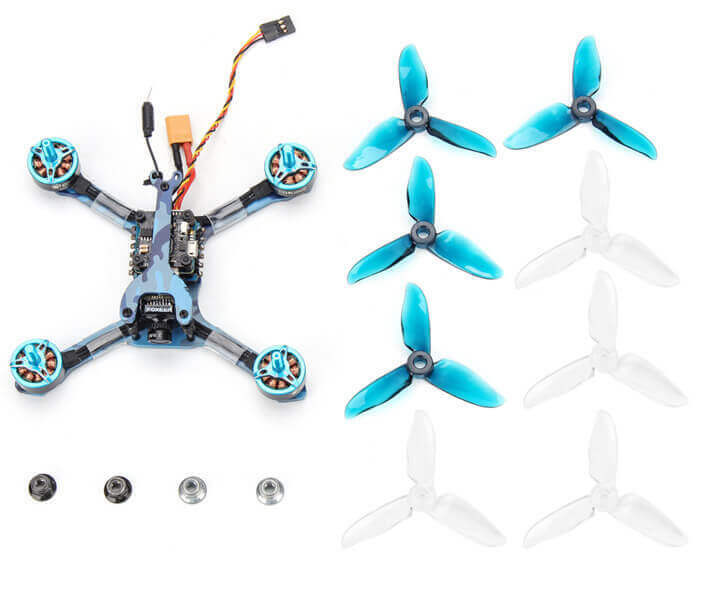 Eachine has not disappointed us with this model, a drone that deserves the price, which is also not exaggerated in view of its characteristics.